Guobin Yang (2016) ‘Narrative Agency in Hashtag Activim: The Case of #BlackLivesMatter’, Media and Communication 4(4). Abstract | Hashtag activism happens when large numbers of postings appear on social media under a common hashtagged word, phrase or sentence with a social or political claim. The temporal unfolding of these mutually connected postings in networked spaces gives them a narrative form and agency. 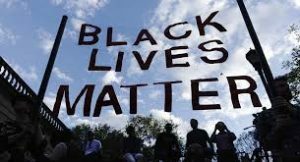 Applying Karlyn Campbell’s propositions about rhetorical agency to the case of #BlackLivesMatter, this essay shows that narrative agency in hashtag activism derives from its narrative form as well as from its contents and social context. Narrative agency is communal, invented, skillful, and protean.